With a conversational style, this book explores rooting our faith in Christ to weather any storm and flourish in the sunshine. It helps readers look at Britain and its culture with fresh eyes while finding Jesus in the midst of it. "You don't have to be an American to enjoy this book. Or British. Or a vicar's wife. You just have to be somebody who has found themselves in an unusual place, felt a bit out of their depth, and wondered where God was in all of that. That's most of us, I think." Bob Hartman. Finding Myself in Britain by Amy Boucher Pye was published by Authentic Media in October 2015 and is our 6096th best seller. 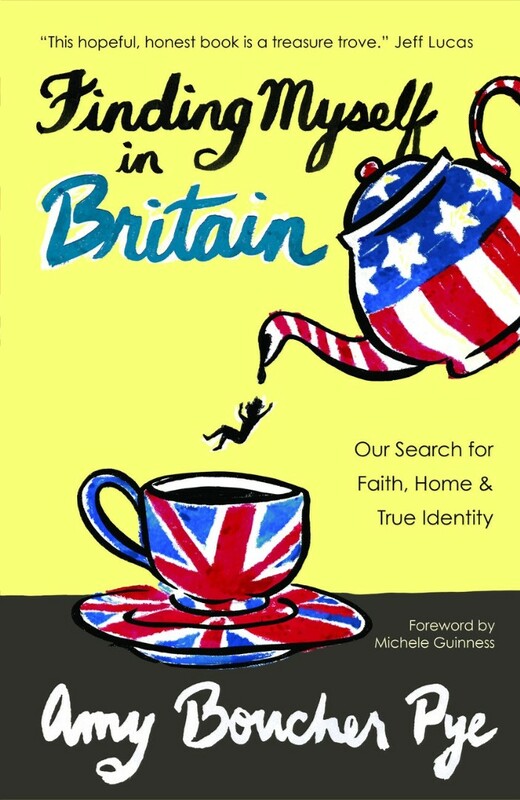 The ISBN for Finding Myself in Britain is 9781780781402. Are British and Americans really different? I thoroughly enjoyed reading this book. Having been to the USA a couple of times, I knew that there were differences, but did not realise quite how many! Amy is still slightly biased towards Americans (which is to be expected!) but talks of the differences with humour and wit. The book is well-written, with lovely anecdotes, and I learnt quite a bit about the workings of the Church of England - I go to a Pentecostal Church, so a lot of the services and annual calendar are a bit different. Take a peek at some articles related to Finding Myself in Britain. "Candid, funny, poignant, engaging, and always brilliantly written - Finding Myself in Britain is a marvellous read. This Englishman-in-America loved it." "What a joy it is to peer over Amy's shoulder and enter into the seasons of life through her eyes. Amy is not just a social commentator, she is a discoverer of life and meaning, and her reflections invite us all to create memories and a place called home - wherever we are." "A delightful and insightful view of life from both sides of the Pond. I was especially taken by her through-the-year approach, highlighting each season - an ideal way to capture the beating heart of each country. In a word, I loved it."